because my attempts to make "real" shoe figures resulted in bent heels. Another nice pair of shoes. I'm almost certain you missed your calling becoming a fashion designer! the design is not by me though, if you google-image-search for "Supra Fifre"
i found a web page where something like 80 celebs were spotted wearing them ! Nicely done, any pointers on where you got your study material..please.? 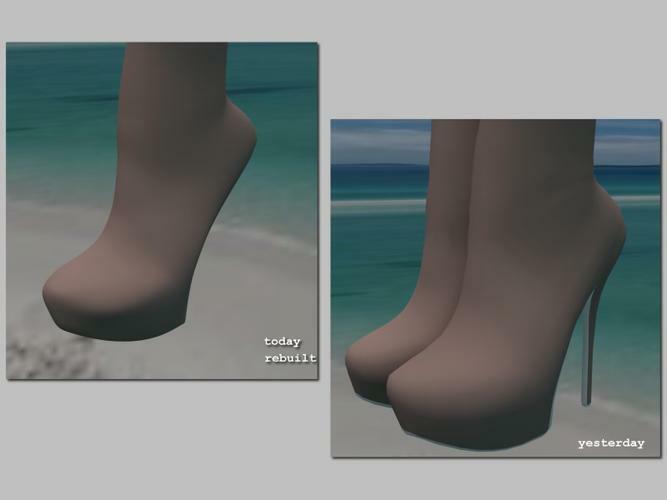 I am going to model some shoes for Daz and it would be nice to have some good tips from the outset. Most excellent work! Looking forward to their being available. It's very easy to get caught in the trap of making something better... but there's always something you could do better. Remember: "Perfect" is the enemy of "Good". Are there any actual problems with the boots as they exist now? "Aeroplane is always safe on ground but it is not intended to run on ground, to achieve great heights it has to be fly higher and higher !" So always try to make the things better though it involves risks ! making a figure instead of a prop, takes longer. These look worth waiting for! I'm really looking forward to these for Aiko. They are wonderful! Thank you for doing so much for our beloved Aiko! if i don't discover problems, this means the boots will be posted in the next hour ! Badabing ! The boots are ready !